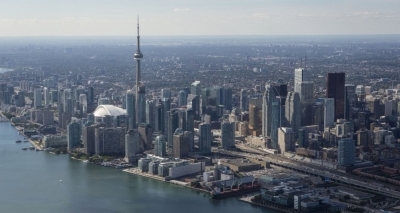 We ran across this great checklist of 20 things you should know before moving to Toronto. It comes from Notable.ca, the website catering to people much younger and more stylish than us old farts. This entry was posted in Uncategorized and tagged brits in toronto, notable, toronto on August 31, 2015 by britsintoronto. “Money, money, money, always funny, in the rich man’s world.” Not our words. The words of ABBA. But they do have a point. Compared to, say, London … Paris … Tokyo … San Francisco … we don’t think Toronto is such an expensive place to live. But, with the recent news that the average house price in Toronto is over a million bucks (around 489,000 British Pounds) then we could be totally wrong. Good job we have websites such as Numbeo then. 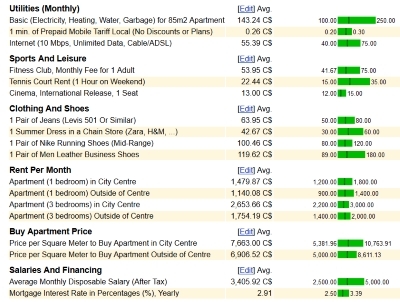 There’s a whole lot of data on the cost of living in Toronto, plus other fun facts such as crime, health care, pollution and traffic. Makes for some very interesting reading if you’re a Brit considering moving to Toronto, or a Brit already living here and wondering where your hard-earned spondoolies disappears to every day. This entry was posted in Uncategorized and tagged brits in toronto, cost of living on August 27, 2015 by britsintoronto. The Toronto International Film Festival will be upon us soon, and it’s a great time to showcase the city and possibly bump into Kiefer Sutherland at your local pub. If that wasn’t exciting enough, there’s some cool Brit films on offer that you may want to catch too. “For its 40th year, TIFF has added even more British features to bolster its already solid lineup of UK-hailing films including ‘High-Rise’ and Oscar contender ‘The Danish Girl’ — to name just a few of the most hotly awaited Brit titles. “This year’s City to City strand highlights eight films from England’s capital to expose the region’s emerging artists. Past programs have featured Tel Aviv, Istanbul, Mumbai and Seoul. So get out and support the Brits! This entry was posted in Uncategorized and tagged brits in toronto, tiff, toronto international film festival on August 21, 2015 by britsintoronto. This is a way off yet (May 2016) but we like to stay ahead of the pack and give our readers good notice about interesting opportunities. This is an event to give Canadian artists and labels access to the UK market … so if you have anyone working in that industry back home then send ’em this blog post, or get their people to call our people and we’ll pass along the information to some more people. “Canadian Association for the Advancement of Music & the Arts (CAAMA), in association with Canadian Music Week, is facilitating access for Canadian artists and labels to the United Kingdom (England, Scotland, Wales) and Ireland. 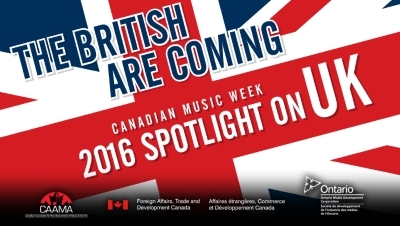 “In May 2016, at Canadian Music Week in Toronto, we’ll be hosting labels, booking agents, festival organizers, promoters, talent buyers and industry specialists from the entertainment sectors open new trade routes for Canadians who are interested in furthering opportunities with these two key European markets as part of a Spotlight on the UK and Focus on Ireland. This entry was posted in Uncategorized and tagged brits in toronto, canadian association for the advancement of music & the arts, canadian music week on August 20, 2015 by britsintoronto. You want to help. They need your help. Go for it! We appreciate the fact that our readers are contacting Brits in Toronto with early access to information before it’s made public. Thank you, keep ’em coming! 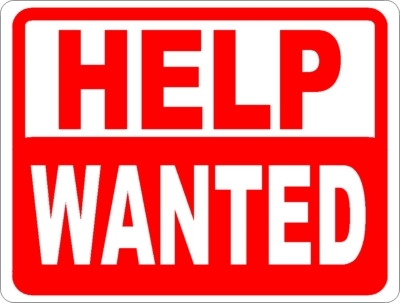 Artage Pictures is hiring for a someone who is fabulous for reception, customer service, admin … it’s for an upscale artistic environment, funky yet classy. Thursdays, Fridays, Saturdays and Sundays will be a must (evening as well), eventually with Sundays dropping off and the other three days becoming longer days. Candidates must present well, be refined and fun! The pay will be around $28,000k-$30,000k to start but it will be a full-time job. Please note that the role will not lead to photography so they’re aiming to find people who aren’t hoping to be photographers. If you fit the bill, please e-mail heidi AT artagepictures DOT COM or phone 647-898-7464. This entry was posted in Uncategorized and tagged artage pictures, brits in toronto, jobs on August 17, 2015 by britsintoronto. 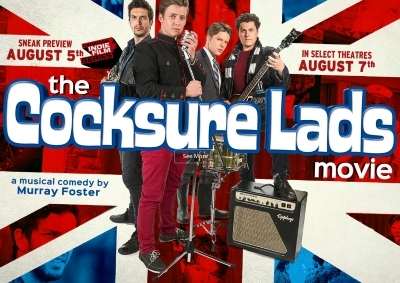 The Cocksure Lads followed us on Twitter so we checked them out and discovered a new film coming out on August 7 (sneak peak on August 5) … here are the screenings. Sounds like a typical night for the Brits in Toronto crew. Except that we don’t play in a band or have a claw-foot bathtub. Anyway … take a butchers, it looks great! This entry was posted in Uncategorized and tagged brits in toronto, murray foster, the cocksure lads on August 4, 2015 by britsintoronto.